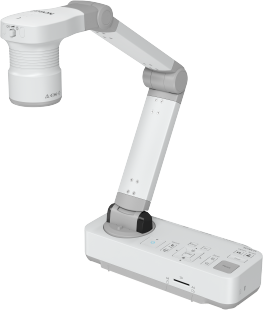 Advanced document camera for use with Epson education projectors, it features both optical and digital zoom for clear magnification to enhance classroom learningBring lessons to life with this user-friendly document camera and share pictures and objects in Full HD on a large screen for the benefit of the whole class. Bursting with a range of clever features and functionality, teachers can create a dynamic environment to enhance student learning. Benefitting from a lightweight and portable design, it is easy to transport between classrooms.